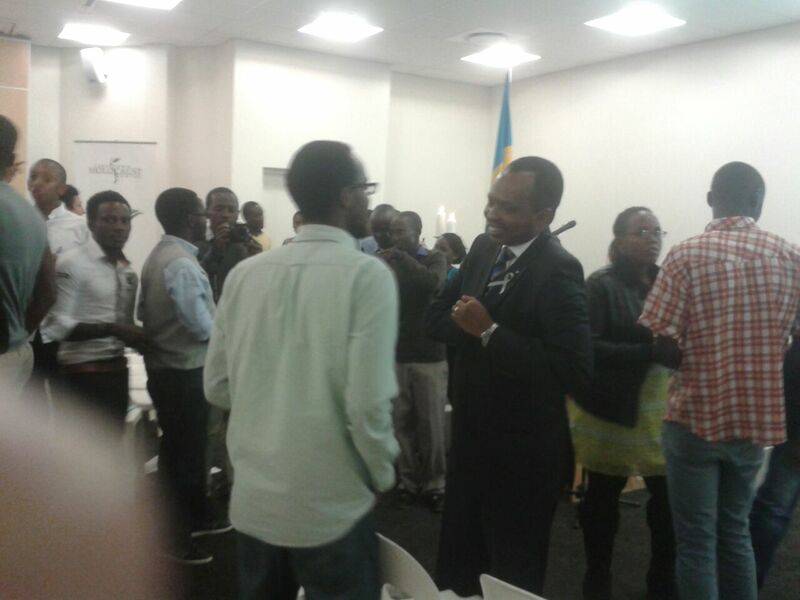 SA: PRETORIA RWANDAN EMBASSY CONTINUES ITS ACTS OF TREATS TO REFUGEES AND ALL OPPONENTS OF KIGALI GVT LIVING IN SA. I, Irakoze Bernard alias Djibril and I was invited to participate in memorial ceremony « icyunamo/Kwibuka « of 21st anniversary of Rwandan genocide of Tutsi held last Sunday 03rd May in Cape Town. As a survivor of Genocide, in the past years, this moment used to be an occasion to meet and plan for a better future of healing and understanding each other and specially respect of human beings and plan for a good direction of Tutsi leadership in Rwanda and in the whole Great Lake Region as a whole and agree that never shall those horrible events be allowed again. As usually on that occasion, we always have a guest speaker from Rwanda embassy and sometimes people from Rwanda government together with some students even though most of us are refugees. It was mixed feelings from everybody. What troubled me and made insight induce me to write this short message to IKAZE IWACU is to inform all Rwandan citizens and the friends of Rwanda as whole about the message from the Pretoria Rwandan embassy led by Karega in this event and which was exhorting us to look, search and report to them all people, especially former authorities of old regime and /or their descendants and other opponents to Kigali government. He insisted that their address and their activities need to be reported. I immediately sense a sort of criminal activity against those innocent people because such census would never end without some people being victims and their agents are among us and their continue to pretend of being the refugees while they are Kigali government agents to carry their mission of atrocities among the genuine refugees. If we have been survivors, it’s because God saved us and most of the people through our friends hutu. It’s insane as a genocide survivor to see what was talking in that commemoration day, the slogan was on how to intensify the techniques of eliminating the so called ‘enemies of Kigali government’ and calling (in Kinyarwanda language) to participate activities of killing and threatening those innocent people. After the common meeting, the Ambassador called on Ernest Kajabo (our Diaspora President in CTN) together with his other 3 people in their criminal committee to hold a separated meeting. For this reason, I want to inform my fellow Rwandan refugees and other opponents in Cape Town and elsewhere in SADEC cities to be extra careful as our government is after them and the message was clear. I was also not happy that the Jewish community could help us gather in there for good purposes, but even they were surprised to see their place is now used as a place for plannification of Kigali criminal activities. I know that I might be in trouble once this letter is published but I am willing to save many of my fellow citizens because what is happening in those commemoration events, it is far away from the previous commemoration we had before. This time were projecting the DVD on Rwanda development and I was linking this movie to the purpose of the event, I found that even the Ambassador (Karega) is confused himself in what he is doing! God who protected me in 1994 will always be my Guardian. Hope my message will save many lives.